The Republic of Côte d’Ivoire has recently become the seventh country to deposit a declaration under Article 34(6) of the Protocol to the African Charter on Human and Peoples’ Rights on the Establishment of an African Court on Human and Peoples’ Rights. The effect of the declaration is that Ivorian individuals and NGOs with observer status can now directly bring cases before the Court. Article 34(6) of the Protocol states that ‘at the time of the ratification of the Protocol or any time thereafter, the State shall make a declaration accepting the competence of the Court to receive cases under article 5(3) of this Protocol. The Court shall not receive any petition under article 5(3) involving a State Party which has not made such a declaration.’ This means that in practice, the Court will reject applications from any individual or NGO that is not from one of the seven African states which have submitted a declaration. The Protocol was ratified by Côte d’Ivoire 10 years ago, but individuals could not directly initiate cases before the Court because the Article 34(6) declaration had not been made. Now, the country has accepted the jurisdiction of the Court over petitions filed by individuals and NGOs, subject to the requirement that all local remedies have been exhausted. 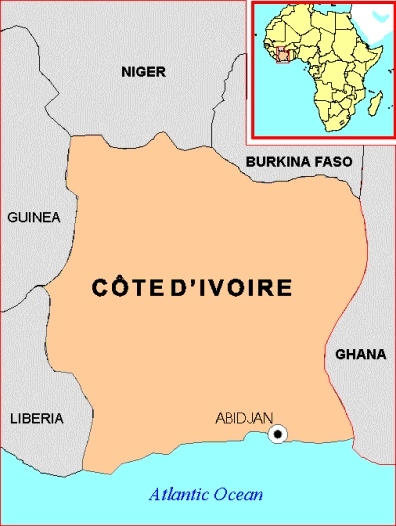 Côte d’Ivoire deposited the declaration on 31st July 2013, two months after a visit from a delegation of the Court, the purpose of which was to urge the country to make the declaration. It joins Tanzania, Rwanda, Mali, Malawi, Ghana and Burkina Faso.